Earlier this week a number of news media covered a story on Tyrannosaurus rex. In a paper published in the Journal of Theoretical Biology a team of researchers report on the results of a new computer modelling programme that explored the range of movement of these animals had and how fast they were capable of running. The article focused on the popular myth of T. rex running down a jeep, sprinting in excess of 45 mph (72 kph) as depicted in films such as Jurassic Park. To better estimate this giant’s movement, this new study examined a typical complete Tyrannosaurus skeleton, estimating the weight in life to be between 13,000 – 17,000lbs (5.9 Tonnes to 7.7 Tonnes), looked at the centre of mass, the centre of gravity and studied the inertia or resistance to movement that the animal may have had when it turned or pivoted. Previous studies have looked at the movements of birds, assumed to be the direct descendants of Theropod dinosaurs like T. rex and fossilised footprints to judge how these animals moved. The computer calculations show that T. rex probably had a top speed of no more than 25 miles an hour (40 kph) and that it would have had considerable inertia preventing it from turning quickly. A 45-degree turn would have taken one or two seconds – much longer than us. To move the sort of bulk that T. rex had would have taken huge leg muscles. Although the animal had strong hind legs they were no where near capable of moving the animal around at 45 mph. This research is not new, merely building upon work done by other scientists earlier. Whether T. rex was an active hunter or a lazy scavenger has been a perennial debate. “Recently, scientists have discovered that it (T. rex) was not quite as alarming as it looked. Its tail was shorter, and it did not stand so high because most of the time it held its backbone horizontally, parallel to the ground, with its tail straight out behind. From footprints we know that Tyrannosaurus’s massive hind legs took short steps, only about 1 metre long, so that it waddled along rather like a goose, its front legs dangling far above the ground. Even its vicious-looking teeth were not as bad as they seemed: if it had tried to tackle living animals, the teeth would have snapped off in the struggle. 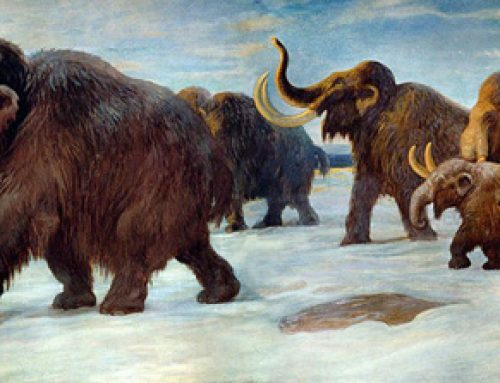 However, the great claws on its three-toed feet were effective weapons against even the largest plant eaters and the teeth were probably only used to feed on dead animals”. We have never recovered a complete Tyrannosaurus rex skeleton, only about 30 specimens are known and most of these are only partial at best. With the exception of Sue Hendrickson’s famous find in August 1990 – (T. rex called Sue) and one or two others such as AMNH-5027 and TMP 81.6.1 (known affectionately as “Black Beauty” we don’t have a great deal of fossil evidence to work with. 2). Somewhere out there is a fossil specimen that will shed more light on Tyrannosaurus rex, its lifestyle and behaviour. Bipedal dinosaurs are difficult to reproduce as models. Getting the centre of gravity right is not easy. Nobody wants to purchase a model of a ferocious T. rex that behaves like the animal was drunk all the time, with it constantly falling over. When we come to sell our models we do check them over to make sure that they balance. We have even been known to put them in the office fridge having set the feet into the correct posture thus ensuring the models don’t topple over. Some ranges still opt for the safer “kangaroo stance” which is easier to mould, others try their best to depict the animal in what is thought to be a realistic life-like pose.